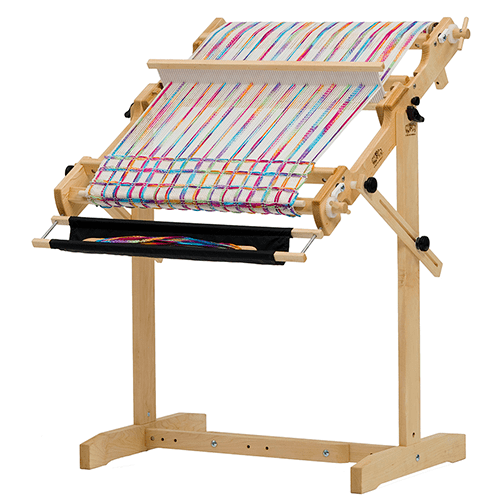 Our X-frame floor stand raises our table loom to the perfect height for use with a standard chair. 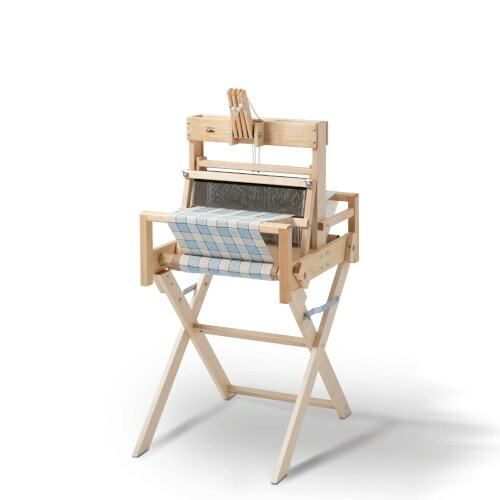 Installation is simple—just fit the holes in the base of the loom onto pins in the stand. If you’ve got an older model of the Schacht Table Loom, use the provided drill guide to drill holes in the bottom of your loom.